Having initially started in 1982, as a company assembling steam systems, Valsteam ADCA has evolved to a company present in 80 countries with a 22,000 square metre manufacturing facility where all of the products they sell today are produced. Valsteam’s product portfolio includes: steam traps, steam control valves, pressure reducing valves, heat exchangers, pipeline ancillaries and special equipment such as pumps, humidity separators and steam injectors. Their complete range of steam traps utilise various materials, from DN15 to DN 150, and are designed for pressure up to 80 bar and flow rates of over 100,000 Kgs/h. They can also provide heat exchanger skids and custom made equipment thanks to their technical capabilities in welding, which is carried out by qualified welders and adheres to ISO standards and European guidelines. Whatever your steam requirements are, BME can be sure to provide you with a solution to match your needs. Unaffected by water-hammer and vibrations. 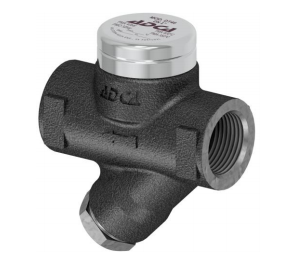 To learn more about Valsteam ADCA’s Steam Trap Solutions, take a look at our downloadable PDF below.